You must make reservations at least 5 minutes in advance of the time at Sushi Inoue. Chef Inoue is not only knowledgeable in traditional sushi preparation, his expertise complements his friendly and welcoming bar. Step up to the bar and enjoy the mesmerizing skill as he presents dish after dish of the freshest sushi typically only available further downtown. 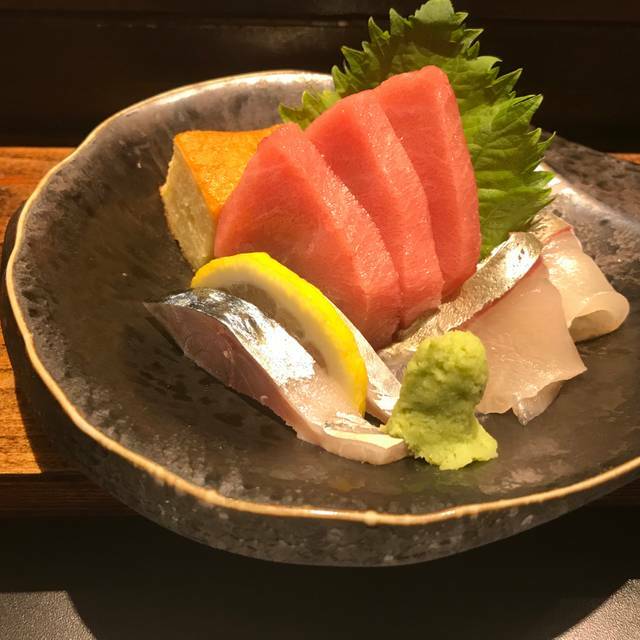 The chef Shinichi Inoue serves one of the freshest and best cut sushi and sashimi in NYC. 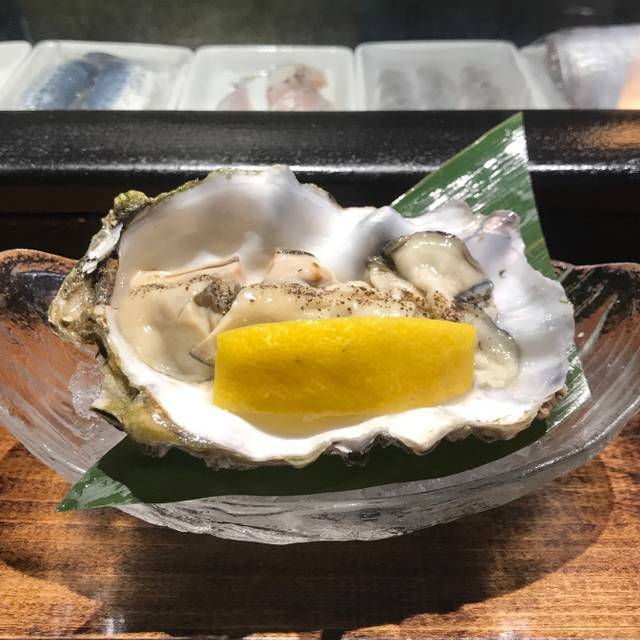 Chef Inoue is friendly, courteous, professional and has almost 30 years of experience serving this special Japanese delicacy. *BYOB welcome; We are currently in a process of obtaining a liquor license. Sushi Inoue is the best sushi in Harlem. I will never come back. The restaurant does not offer wine, so I had to go out in the rain to buy some, after which the restaurant charged a $25 corkage fee. No wonder the restaurant was practically empty on a Friday night. Inoue, under the stewardship of Kunihide Nakajima has provided the closest experience to eating in a world class Tokyo sushi restaurant as I have come across in my 25 years living between Tokyo and NYC. While not inexpensive, it is definitely worth every penny. The uni was super good! Fabulous classic sushi – don’t go there for spider rolls and junk like that. Small, select menu, extraordinary flavors and textures. Each bite a wow. I thought the chef was extremely unfriendly towards us. Sushi was fine and the waitress was attentive; but for $400 per person, I would expect a lot more. Very disappointed. 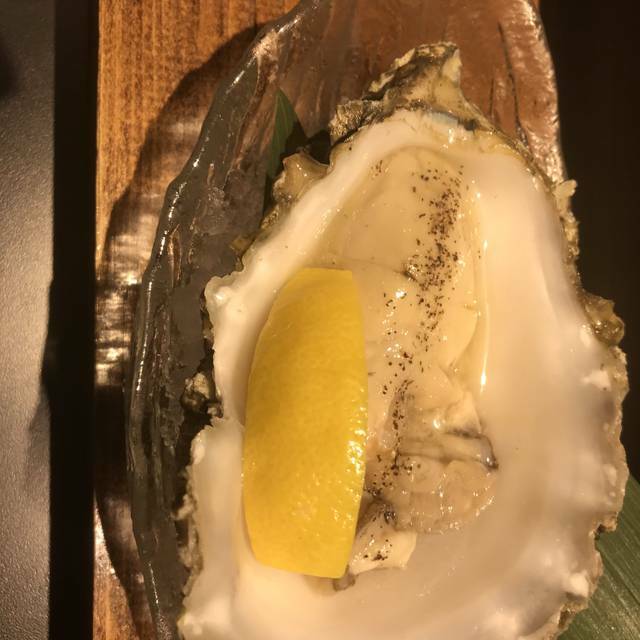 We had the Omakase, and the full attention of the Chef at the counter. He is an artist and the food was indescribably delicious. The Chef and host treated us very warmly. 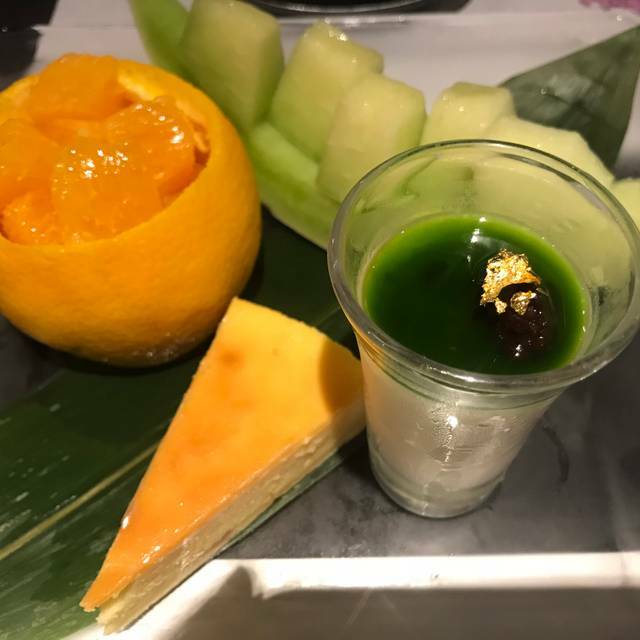 We will definitely come back, although the price of the Omakase will make that a special occasion, but we look forward to trying the place a la Carte. The food was exceptional throughout. It's a galaxy away from your "normal" sushi. Genuinely one of the worst experiences of my life. Went for vday... was shocked to find out was required to do pre fixed menu at 400 pp which is almost double typical price. Sat for 1 hr before getting food. Got one tiny appetizer of the 8 courses. Waiting another 45 min before getting anything else. We eventually just left. Went this evening for Valentine's Day and frankly not once when making the reservation or when calling to confirm did they mention there would be a special $400 omakase menu for Valentine's Day. This threw off the whole evening. I figured we were walking in to the regular $225 or $275 options but no...$400 and no other choice. I feel like we were conned, they never mentioned this to us beforehand. They food was good but I mean no where worth that price. It did come with an sake pairing, (which if you declined there wasn't a discount)...it was less than an ounce of sake per course, certainly didn't make up for the difference in price. We are not big drinkers and never order a drink pairing when we go out. Insane they forced you to get it. On top of all that, the service was incredibly slow. Our reservation was for 6pm and we didn't get the check until 9:30pm. Three and a half hours for omakase is ridiculous. Leaving the restaurant tonight I genuinely feel like they stole from me. Excellent sashimi and sushi. Limited drinks. Good service, but not particularly knowledgeable in the menu options. Pricey. Overall good experience. I came to Sushi Inoue for a romantic anniversary dinner and it had exceeded all expectations. The spot feels exclusive, intimate, and warm. The service is unbelievably friendly and welcoming and is very fast as well. You will see that they only have one type of sake, but rest assured that is all you will need for a great night out. It is incredibly smooth and rich. As for the food itself, I made sure to order as many different types of fish on the menu. The Toro had a fine, buttery flavor while the Saba tasted like it was freshly caught within the hour. 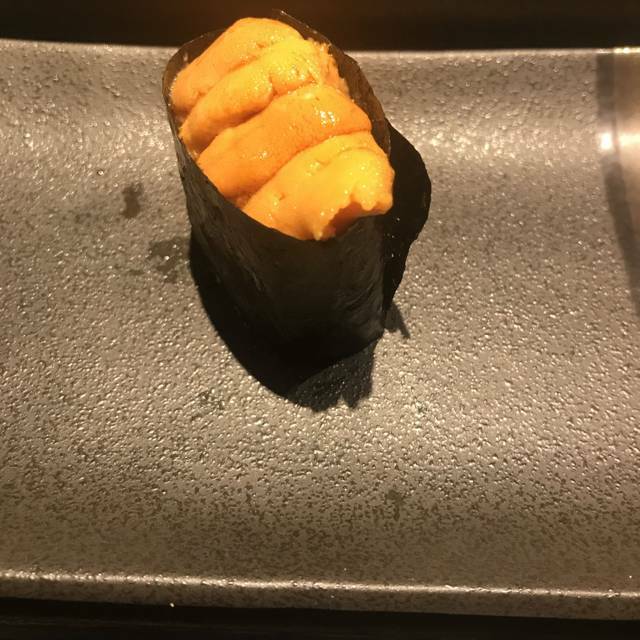 The uni melted in your mouth as did the ikura. However, I was most impressed with the ginger and the wasabi. Not many sushi spots can claim to have high quality pickled ginger slices and TRUE wasabi. I will be returning to Sushi Inoue without a doubt soon. Went the a la carte route... Guess it was a night where I wanted to control my own eating destiny. Overall, it got the basics right - the fish was fresh and the marinades were flavorful and complementary to the fish. I felt the price points for the a la carte were fair - with the small dish starters being on the pricier end. I also found the portion size to be generous. Service was the perfect balance of attentive and let me not be disruptive to your meal. It's not Uchu or Nakazawa and the ambience is definitely different, but I think the sushi is better than Nobu or Blue Ribbon. I liked its simple setting. Wine options are limited: one red italian and one white italian. One beer option: sapporo in a can. More options for sake and that's where I happily settled. I'll be going back. The food was superb! We chose bar seating and were able to watch the chef prepare the sushi and sashimi as well as talk with him, expanding our knowledge of seafood. 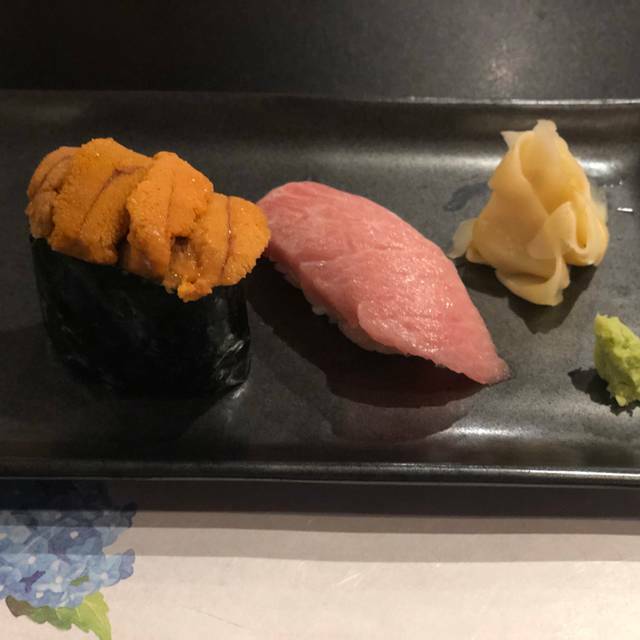 Every bite was delicious and the uni tasting was transcendent. I was unimpressed with the service. Fine dining service rules were not observed - sometimes we were served from the left, other times from the right. We found out the day of our meal that the restaurant was BYOB with a corkage fee. With a corkage fee, I assume I'm being served. But after the first pours, the bottle was brought out and placed next to us at the bar (good sake should be served at a specific slightly-chilled temperature) and we serving ourselves for the rest of the meal. Way too expensive for what it is. $1,000 for 2 people with a sake pairing is almost double what top places like Nakizawa cost. Food was very good but not spectacular. We were greeted with warm smiles to a small, modern-looking space. We were seated at the bar which felt a tad cramped but nonetheless clean and comfortable. I think we made the mistake of booking our dinner a little early (6pm) as there were more waitstaff than customers present which felt a bit stilted and awkward, but after a while more people flooded in and the atmosphere became more relaxed. The food was amazing. We had an omakase meal with delicious sushi. It was rather expensive but the quality definitely held true. Some of the nicest sushi I've ever tried! Hands down, the best sushi I’ve ever eaten. Even the rice was exceptional. Absolutely worth the splurge for a special occasion. Omasake full of surprise amazing food. We enjoy every bites of sushi or etc. I would come back!! 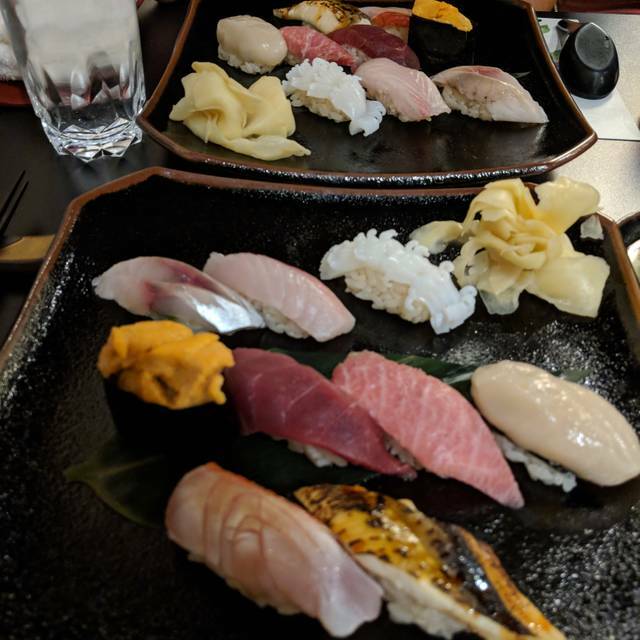 One of the best Omakase experience I had in NYC. We did the $275 one. The teasers were so good that we all wanted a second plate (unfortunately not possible). Highlights were the monkfish liver, Uni tasting, vegetable tempura and seared fatty tuna. Chef Shinichi Inoue was such a delightful and friendly person. It was simply joyful dining around him. The core of the Omakase, 10 pieces of sushi were all extremely fresh, with a lot of them from Nagasaki Japan, where the chef was born. The combination of rice and the fish was truly something to remember, with the perfect temperature mix. The texture and the mix of flavors were also phenomenon. Last but not least, the dessert, mango panna cotta was another highlight. Personalized Omakase experience was fun... tiny place hidden off Lenox Ave. Impeccable service. Super pricey but world class sushi experience. Sushi was amazing but it is a very low key, local restaurant. This would have worked well for us if the service was more of a michelin star restaurant. For the Omakase - entry point is $250 - if the atmosphere was great - that would help. But that isn't what this restaurant is about - low key. The food and the price maybe ok if the service was out of this world. It really wasn't great. We had to ask for water and drinks, there were no sushi master 'extras', portions were on the small side. We were the table of the night for them and really nothing special beyond the sushi which felt a bit overpriced and generally standard. (Salman, tuna, fatty tuna, fluke, mackerel....). Excellent sushi prepared by pro chef. Sitting at bar offered congenial visual and social experience watching chef work. However, the limited choice of prix fixe tasting menus so wildly priced left us with a terrible after taste. We had no idea dinner for two would cost over $600 including imposed tip of $100. Sushi lovers beware. Absolutely magnificent! We were celebrating a friend’s major career accomplishment and Chef Inoue was the most gracious host for such a special evening. He is engaging and subtly funny! His staff is kind and attentive. The food is divine. I have never had better nigiri. Chef takes care to explain every morsel he puts before us and describe the region of origin. This is, by far, my favorite omakase in New York. The minus is the interior, not that cozy for a date night. This place is out of line price wise. Dinner for two - the lowest price Omikase plus 3 beers and a sparkling water was 690. 20 percent service added to the bill on top of 225 omikase. That’s just insane for a restaurant anywhere let alone Harlem. Then there were fruit flies flying everywhere. Every once in a while you’d hear a loud clap from another table and there was someone who’d killed a fruit fly. How gross and distracting as they would land on the plates and glasses. The sushi was fresh but frankly you can go to Nobu and get more interesting sushi for less. Also the room is cold, sterile and every time the door opens freezing air blows in. Totally overrated and over priced. Everything was impeccable. This was my second visit to the restaurant and I was not disappointed. The food and service is outstanding. The food is fine, not exceptional yet kind worth the star. But the ambience and the service, basically everything else, doesn’t match its price tag at all. Not recommended. Food was very good and there was a lot of it. 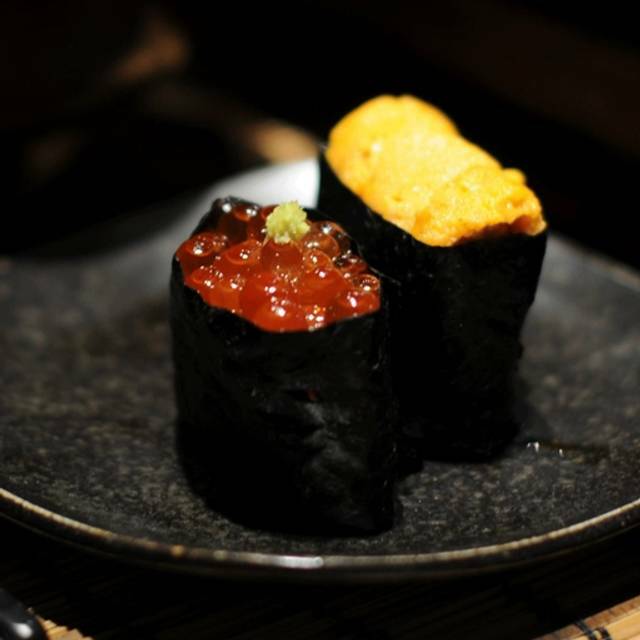 The best Japanese/sushi restaurant in Harlem and vies with top Japanese restaurants city-wide. Not inexpensive. It is quiet and well suited for people who want to hear each other speak. Service is very attentive. This is one of the best sushi restaurants in NYC and America, for that matter. 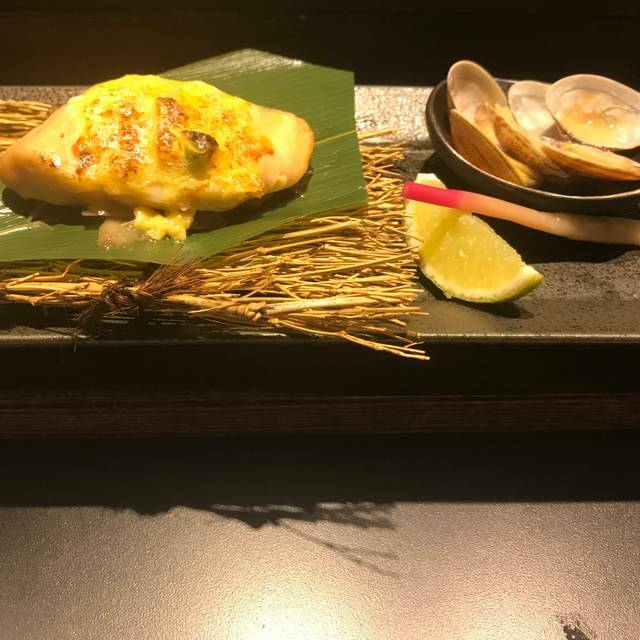 Pristine fish and other ingredients, deftly prepared, and served with a grace and ease that I hadn't experienced in a long time. It was incredibly quiet, easy to talk in, and perfect in every way. really disappointing experience for such an expensive meal. the sushi didn't come out until 3 hours into the meal. they tried to serve us the same appetizer twice and it really wasn't great for $650 meal. shocked this is a michelin star restaurant, has to be a mistake. Thought we were being punked. Food was horrible. And not just cause it cost - fortune! Service off. Ambiance totally off. sushi was excellent - especially the toro. Cooked dishes were quite disappointing - overcooked, dried fish. undistinguished tastes in spite of elaborate preparation. I had the feeling that whoever was in the kitchen wasn't having a good day. The meal, including two half bottles of sake and tip, was $660.00 - that's a lot of money for great sushi but mediocre cooked food. The cheaper of the two omakase menus (which we had) was $225.00 per person. Food was really special that only Japanese sushis. Owner brings his specific taste with a lot of imagination. That's the only positive aspect of the restaurant. However the service was not consistent with 1-star Michelin guide. Far away of what I know from France. While they were only two tables for three waiters many errors were performéd by new (?) employées on training(???) Many times the boss was obliged to correct the employee's mistakes. I even saw the boss doing a snapshot meeting and giving directive to staff in the restaurant in front of us instead of in the kitchen!!! What à lack of professionnalism. She also was doing her paper work in the restaurant. When ordering white wine the waiter did not know where and what wine to serve while they only offer one kind. The waiters seem to be confused between themselves about the serving. Ex. : I asked a waiter to keep my saké in the fridge, and the others were looking for my saké to serve me again... When considering the total bill was around $450 for two we could expect much, much... better. In addition no information was given on Web site that the restaurant is BYOB. And adding directly 20% charge on the bill (of ~350$) for the service is (1) really abusive, (2) take advantage of the lack of knowledge of foreign tourists and (3) does not reflect the service we should receive of 1☆ Michelin Guide.